Sounds like a show my family would like to watch! Find a full range of official Bear Grylls Gerber merchandise at Walmart including an official Bear Grylls Survival Bracelet from Gerber! Taking advantage of Gerber’s decades of experience and Bear Grylls’ adventure knowledge, this survival bracelet’s design provides 12 feet of high-strength paracord to help you work your way out of a difficult situation. Weighing less than an ounce, it has an easy, one-hand size adjustment and an integrated whistle. This giveaway will end on August 21, 2013 at midnight EST. Winners will be drawn via rafflecopter. Once a winner is drawn I will contact them and they will have 48 hours to reply before I draw a new winner. Giveaway is open to anyone in US and you must be 18 years of age or older. Giveaway not affiliated with Facebook & I release them of liability. Winner will be posted in the rafflecopter widget. Dinosaur Train has a lot of great summer ideas planned! 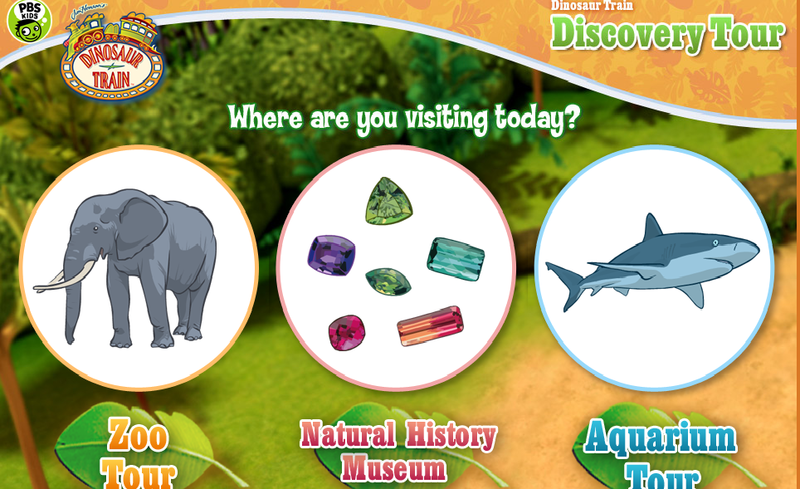 The Dinosaur Train Discovery Tour is a mobile website that may be viewed on a desktop or laptop computer, or on a smartphone web browser, and relates dinosaur and natural history content from the television series, to zoo and aquarium animals. Everyone enjoys taking fun trips, including Buddy! Buddy fans everywhere are sure to enjoy the new sticker stories from Penguin Young Readers Group, Buddy’s Favorite Trips. 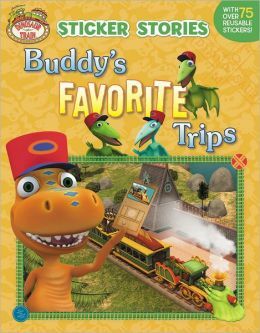 With over 75 stickers, this sticker stories book takes fans on a ride on the Dinosaur Train and features… that’s right… Buddy’s favorite trips! View all the Dinosaur Train Books! Father’s Day is on June 16th and a great time to help the kids create some fun treats for dad decorated with their favorite characters! 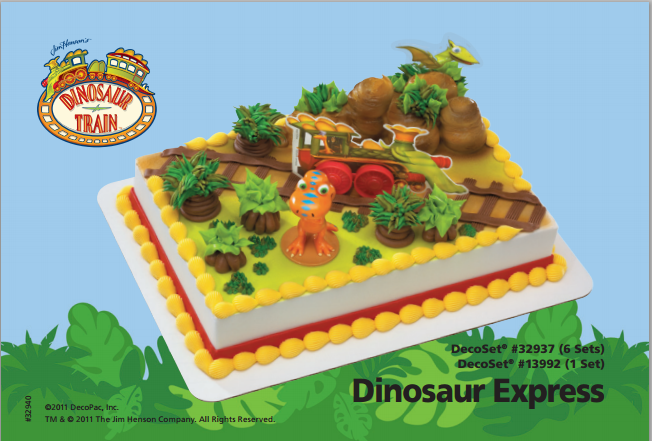 DecoPak has provided a Dinosaur Train Dinosaur Express Cake Topper and Dinosaur Train Cupcake Rings, featuring Buddy and Tiny. These products are available at various online stores including Amazon.com. And if you are feeling very adventurous, you can try and create the scene above! Instructions here! WIN Buddy’s Favorite Trips book, Dinosaur Train Cake Topper and 3 Cup Cake Rings! This giveaway will end on June 19, 2013 at midnight EST. Winners will be drawn via rafflecopter. Once a winner is drawn I will contact them and they will have 48 hours to reply before I draw a new winner. Giveaway is open to anyone in US and Canada and you must be 18 years of age or older. Giveaway not affiliated with Facebook & I release them of liability. Winner will be posted in the rafflecopter widget.